Where should I stay in Bali? Bali is an incredible destination, it’s paradise. With stunning beaches, natural beauty, lush rice-terraces and so much more, this island will be a vacation full of adventures and memories. Definitely, one to tick off your bucket list. Last year (2017) from January to July, Bali attracted 3.4 million international tourists, that’s a 23.5% increase compared to the same period the previous year. Some prefer the surfing, shopping and clubbing vibes in Kuta, whereas others visit for a more spiritual and cultural retreat in Ubud. Exploring the best of Bali isn’t too hard since it’s compact, so planning day excursions are possible and definitely recommended. However, just be aware that traffic wise, anywhere from the south can be a nightmare 99% of the time, so choosing your accommodation in Bali is one of the key components to a memorable vacation. 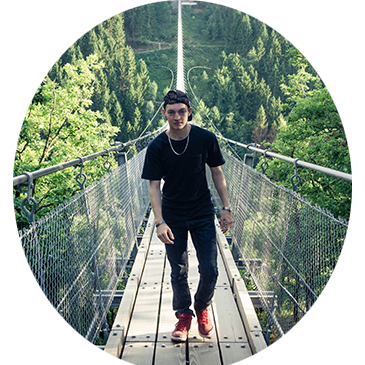 Whether it’ll be a relaxing or an adventurous thrilling getaway, there’s something for everyone. 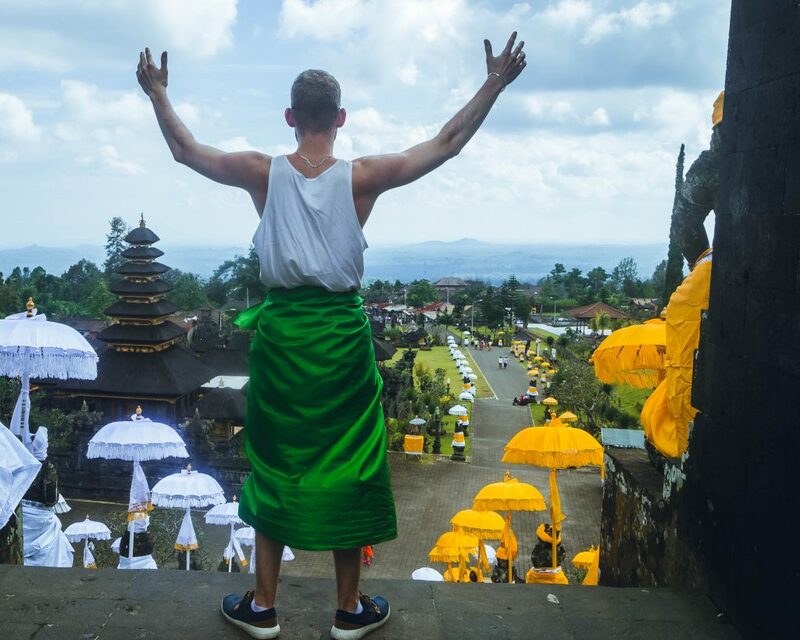 Public transport in Bali is well…basically non-existent. The tourist areas are forever crowded, however, there’s plenty of taxis and Bali drivers that are happy to help. If you do your research and plan out your trips in advance, you’ll be able to get private transport sorted for $40-60 a day depending on where you’re visiting. That usually consists of up to 8 hours, petrol and parking included – keeping you at ease to enjoy your holiday. 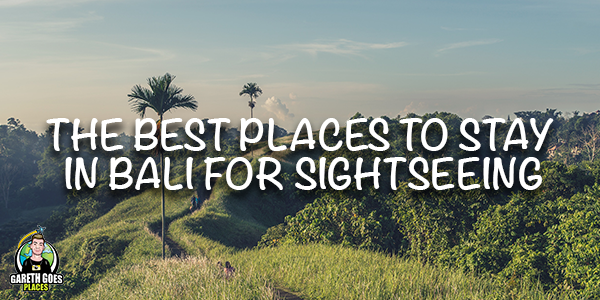 Without further ado, here are the best places for you to stay in Bali. If you’re thinking of taking your partner to Bali for a romantic holiday or honeymoon, then Jimbaran is one of the best locations, alongside Nusa Dua. 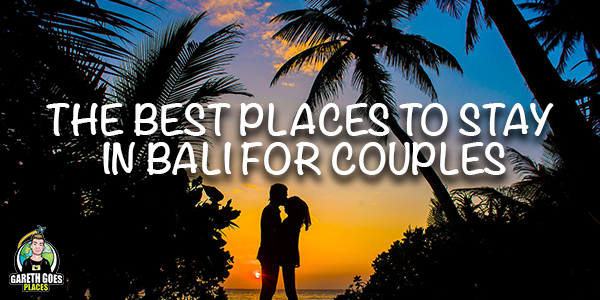 Both of which promote romantic getaways with packaged deals for those newly-weds. Some resorts in Nusa Dua are child-friendly whereas resorts in Jimbaran don’t really focus on catering for children. The beaches are sometimes empty and ideal for topping up the sun, romantic beach walks and candlelit dinners in the evening at sunset. With plenty of fresh seafood, fireworks, musicians and traditional Balinese dances, Jimbaran is definitely recommended for a romantic holiday. 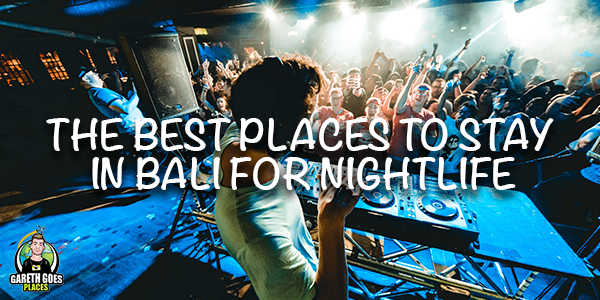 Kuta is one of Bali’s best places when it comes to nightlife. There are various nightclubs including multi-stories along Jalan Legian consisting of international DJs playing a variety of music. You’ll also come across many sports bars too. The bars typically compete with each other so you’ll no doubt see cocktail specials, free BBQ and also some bars that allow girls to drink for free. If you’re more into R&B, Soul and a bit of Jazz, Seminyak is a great place, that’s a short taxi journey north. 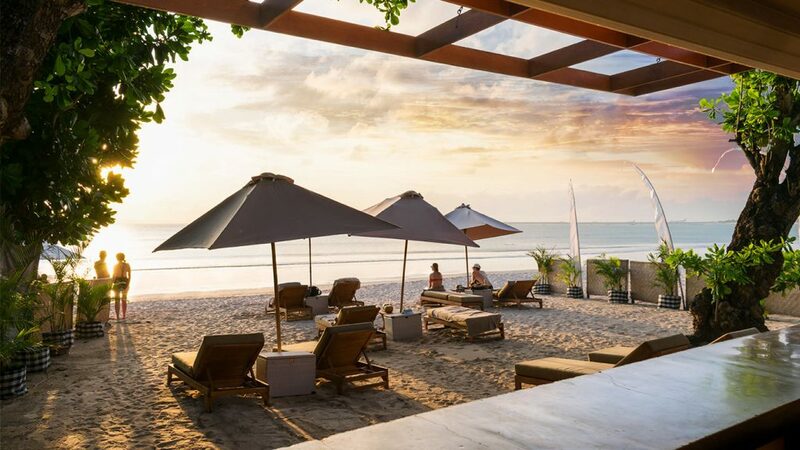 Whilst Kuta is known as the surfer’s dream and for its lively nightlife, there are several hotels situated in this area that are perfect for families. Hard Rock Hotel Bali is just one of them. Majority of the family-friendly hotels and resorts offer activities for the children and usually come with a children’s pool and waterslides. 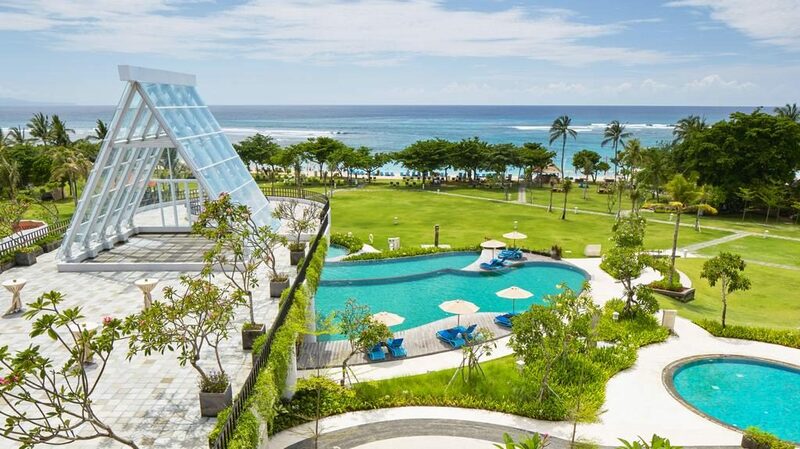 Nusa Dua is known for family-friendly hotels and not only offers the above but also spacious gardens and facing a beautiful beach with such calm waters. 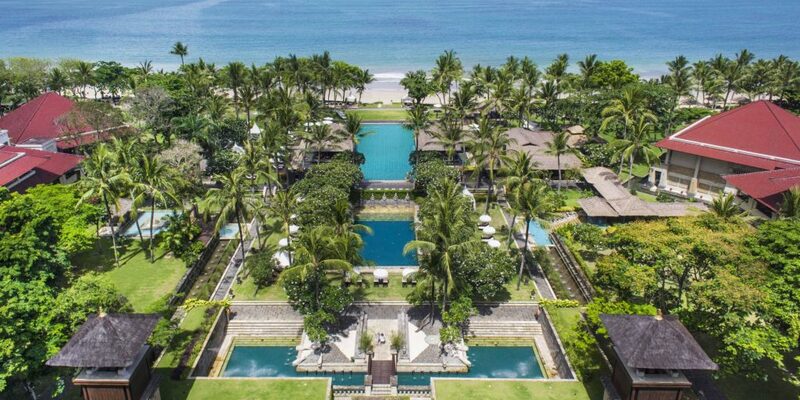 One of Bali’s most luxurious resorts is the Four Seasons Resort Bali at Jimbaran Bay. 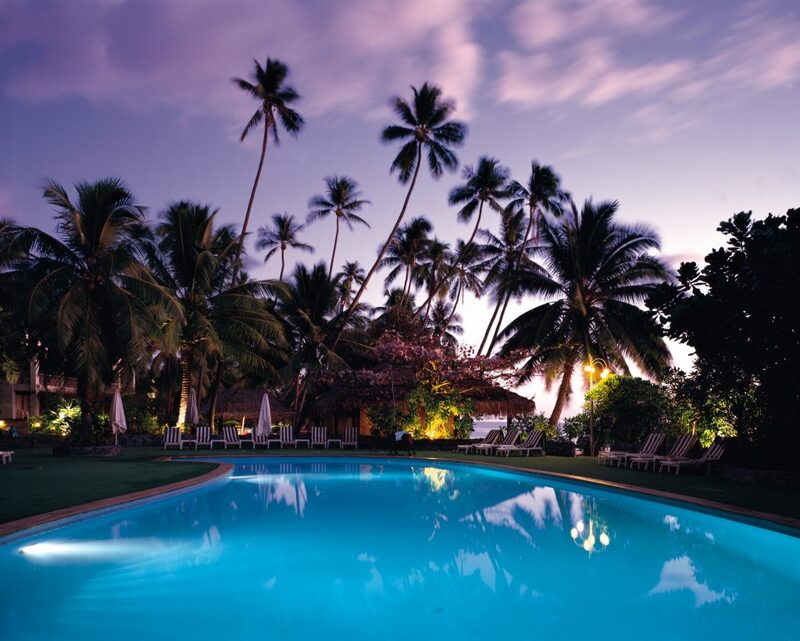 This stunning resort is situated right on the oceanfront. You’ll have stunning views and an incredible experience. 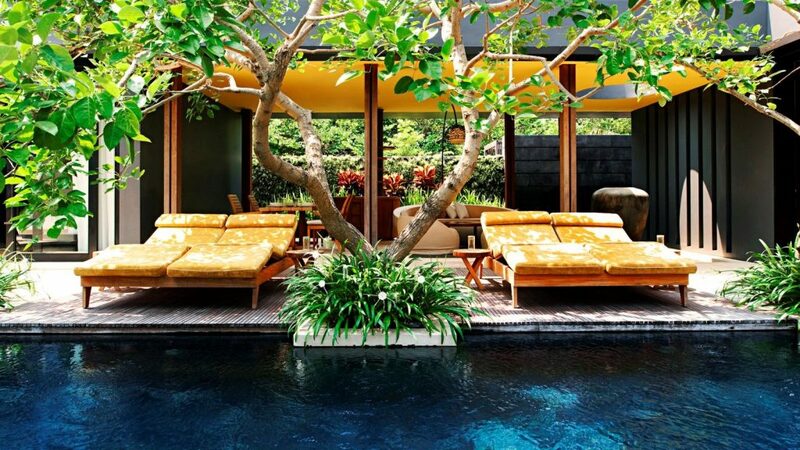 This beauty is listed as #14 on a roundup of Asia’s Top 40 Resorts. It also received a five-star rating in Forbes Travel Guide 2017! The Four Seasons Resort Bali at Jimbaran Bay is perfect for honeymooners and couples looking for a romantic getaway. The beautiful InterContinental Bali Resort is situated on the shores of Jimbaran Bay. The hotel caters for all, couples, families and business travellers. With plenty of amenities including sports, dining, Spa Uluwatu you’ll have everything for a relaxing and memorable holiday at this luxury Bali beach resort. The Jamahal resort strictly caters to guests above 16 years of age, making it ideal for romantic holidays. Originally starting out as a private residence, it soon turned into a boutique resort of 12 luxurious villas. This luxury resort has it all – beautiful spa, food and beverage, a modern professional gym and a beach club which is only 400 metres away. The Kayon resort is yet another stunning five-star boutique resort situated on Ubud hills side which is surrounded with holy Petanu River and a lush tropical rainforest. The resort is only ten minutes drive from Ubud center and has a focus on providing the best experience for honeymooners, romance, healing and relaxation holidays. Due to this concept, children under 15 years are not permitted. This incredible resort, Kamandalu has been around since 1992 accepting guests within its traditional village concept incorporating luxury accommodation within the surrounding natural landscape that includes lush productive rice terraces. In 2011 the resort went under extensive renovation including two brand new villa categories. 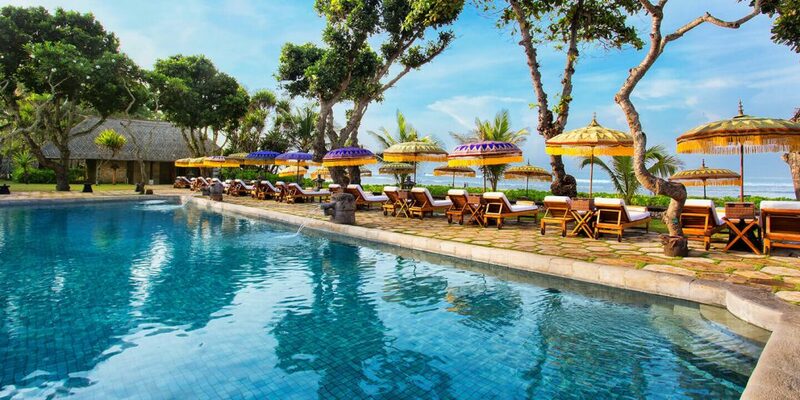 Sheraton Bali is the only 5-star luxury beachfront resort in Kuta, Bali’s most popular area. The stunning resort is literally a few steps from the beach. It’s also situated right next to the popular shopping districts making the resort the perfect choice for your stay in Kuta. 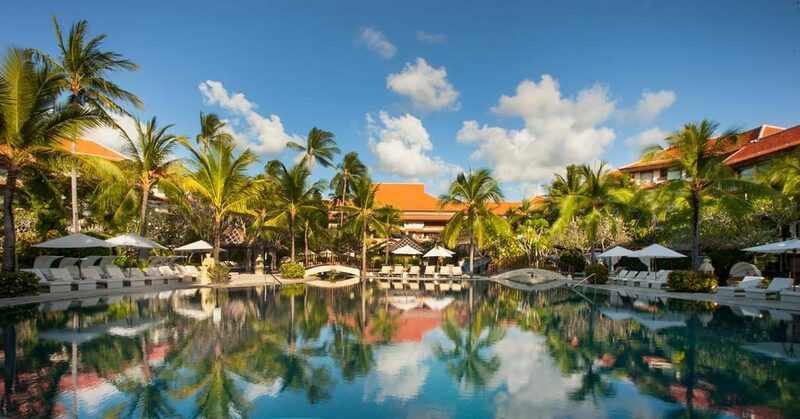 One of the best amenities of the hotel is their infinity pool overlooking the Indian Ocean. Whilst this resort isn’t as fancy as the Sheraton, it sure does offer plenty of amenities that are onsite and nearby within walking distance. There are three pools including a pool bar at the Grand Barong Resort. Other amenities include ‘Royal Jack’ Sport Bar and their ‘Jepun Spa’ & Massage. This premier beachside resort caters for all, families, adults, romantics, business travellers etc. The resort is renowned for its warm Balinese hospitality. It has a total of six restaurants, five bars, three swimming pools including kids “Water Fun Zone” and a dedicated adults-only pool. That’s just a few things they offer, there’s plenty more! 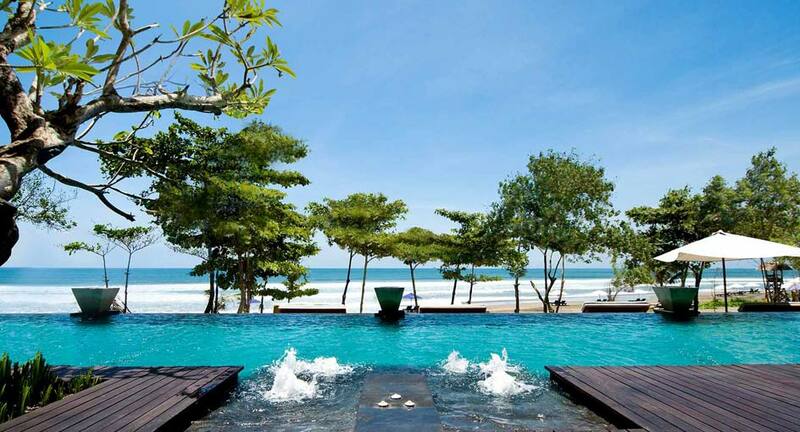 The Anantara resort in Seminyak is situated on the shores of the Indian Ocean. There are 59 suites and 1 penthouse at this resort with Terrazzo Jacuzzi tubs for two and stunning sunset dining. 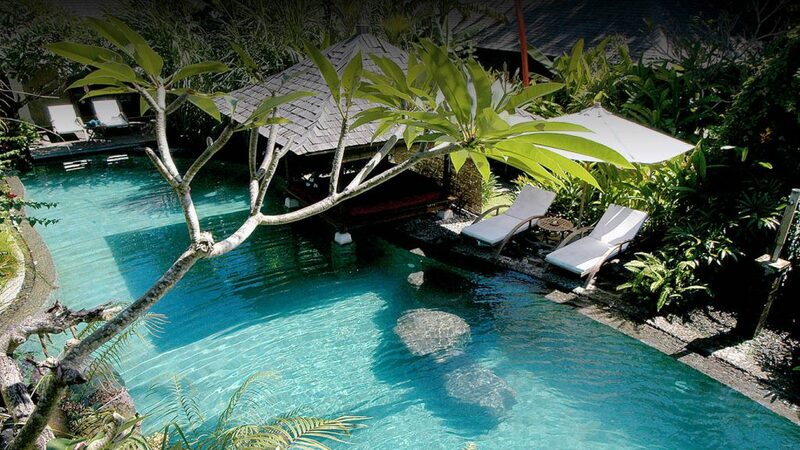 Their main focus is on luxurious beachside living providing you with the best Bali experience. W Bali is one of the best Indonesia hotels according to DestinAsian Readers’ Choice Awards 2018. They were also rated four-stars by Forbes. 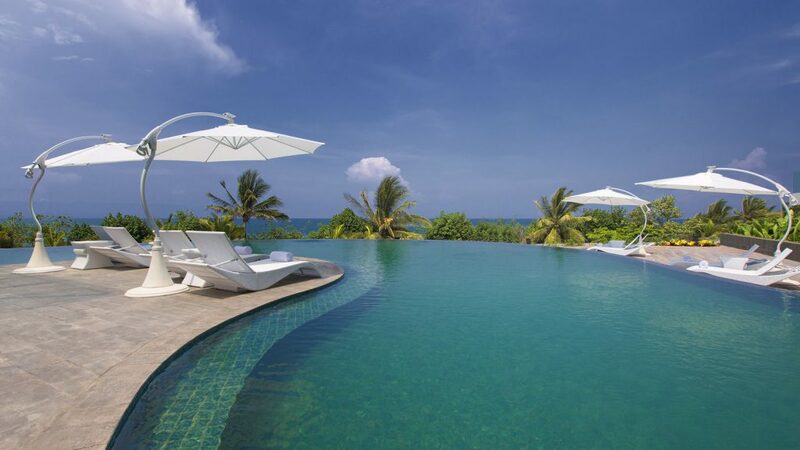 The resort consists of 229 rooms, suites and villas which are all designed with the W signature and touches. They offer amazing ocean and garden views with plenty of amenities on site, including their 24-hour fitness centre. Located on the sophisticated, fashionable Seminyak beach, The Oberoi, Bali is spread across fifteen acres of breathtaking tropical gardens. Unique amongst luxury hotels in Bali, the hotel grounds are dotted with ancient Balinese temples. Traditional Balinese thatch, natural stone and ornate wood carvings lend an authentic ambience to the luxury lanai rooms and villas. This luxury resort is situated just a minute away from the beach. The resort has an on-site restaurant open all day serving a selection of Indonesian and Western cuisine. This stunning resort is a 2-minute walk from the beach. 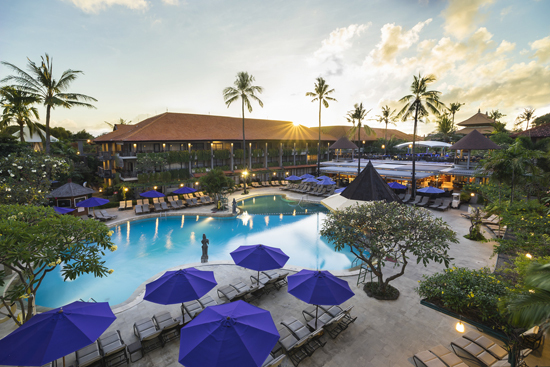 The beautiful Westin Resort Nusa Dua Bali is situated right on the white sandy brach of Nusa Dua and is only 5 minutes drive from Bali Collection Shopping Gallery. The resort has a fitness centre, 2 full-size tennis courts and massage services at the spa centre. Regards to dining, you’ll have plenty of options. We’d recommend the delicious barbecued seafood dishes by the beach at the Ikan Restaurant & Bar. This stunning resort is a 2-minutes walk from the beach. 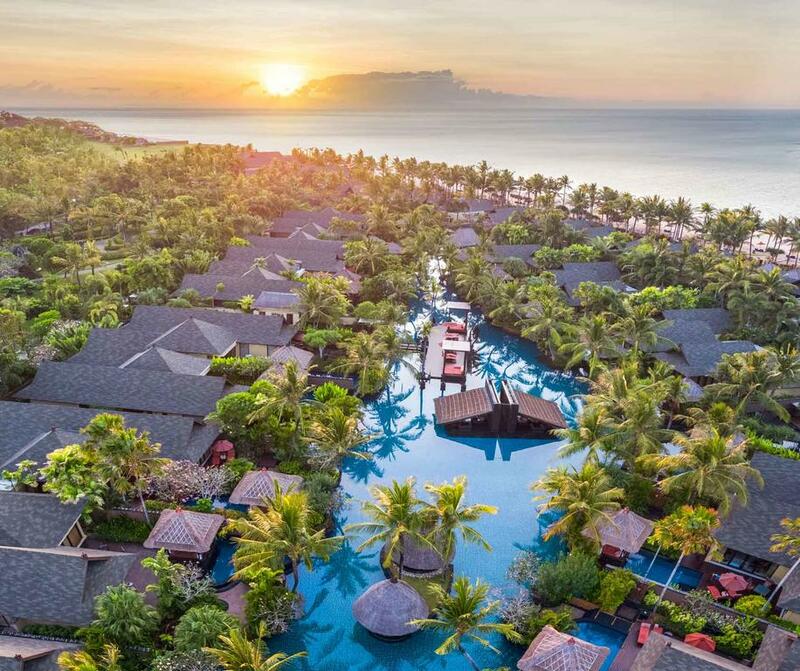 Situated directly on the beachfront of Nusa Dua, The St. Regis Bali Resort is a fantastic choice for those that are looking for a luxury getaway and would make use of a full spa and outdoor lagoon pool. The resort even offers a free two-way airport shuttle in a limousine. Free WiFi is also provided throughout the resort and of course in the rooms. 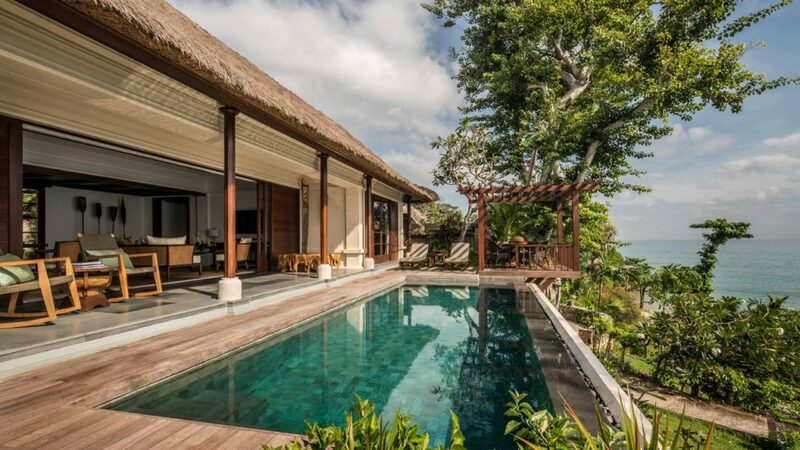 So there you go, that’s a roundup of the best places to stay in Bali. 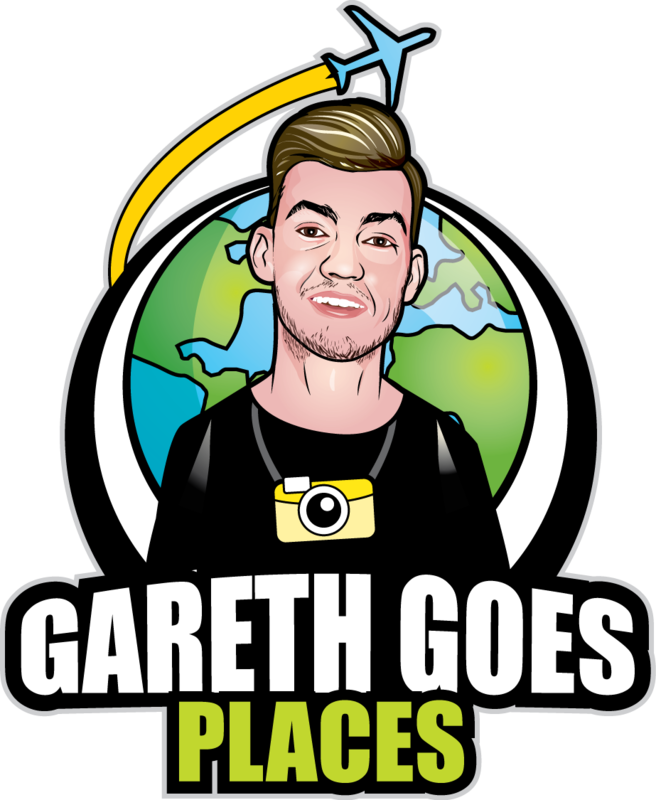 Of course there’s many other beautiful places to stay in Bali, however, these are my top favourites and also the most rated from other guests. If you’ve been to Bali or are thinking about visiting, please share your favourite hotels in the comments below!